Incorporates Ornare (paper piercing) and embossing together to create a masterpiece. Picking and choosing which action (embossing or piercing) is only part of the freedom you receive from this project. 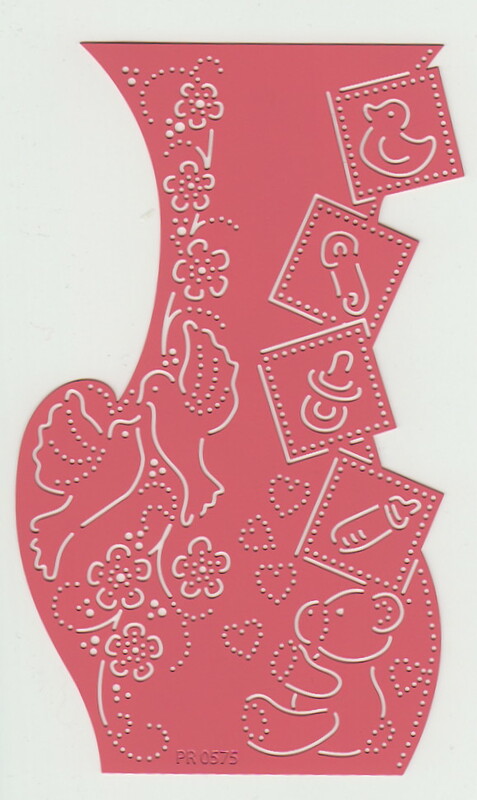 - Stencil contains images for cards for babies. Duck, pin, rattle, bottle, bear and doves with flowers can be used for a border. 1 stencil. Not recommended for use in die cutting machines.Size: 3 1/2" x 6"